Looking For Restaurant Office Coffee Service Office Coffee Del? 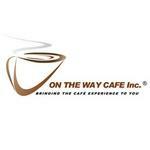 On The Way Cafe is a leading office coffee delivery service in Toronto, Ontario. Serving Toronto, Mississauga, Brampton and all of the GTA, On The Way Cafe offers quality coffee and industry-leading brewing systems. Products Carried: On The Way Cafe offers premium coffee delivery and brand name coffee machines to offices in Toronto, Ontario, as well as Mississauga, Brampton and all of the GTA. They offer espresso, coffee, lattes, cappuccinos, and single-cup, multi-cup, water programs, and more. On The Way Cafe is committed to bringing the café experience to every office.